Probably no other genome engineering technology has made such an impact on scientific progress as CRISPR-Cas9. The applicability of this system has extended from gene discovery to crop improvement, from studying disease models to identifying drug targets. Owing to its potential to become a gene therapy agent (an application where the system can be used to correct a faulty or defective gene in a diseased individual and offer a curative strategy) a lot of current research is aimed at increasing the specificity and efficiency of its action. 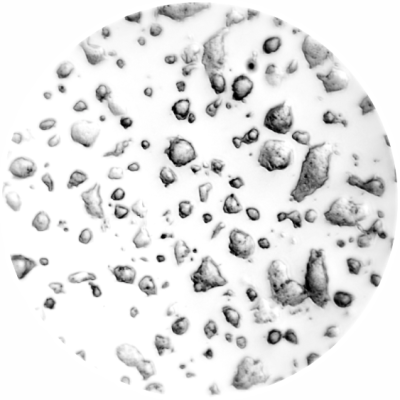 Together with the lab of Souvik Maiti , we plan to tackle this using chemical biology approaches and develop alternate and potent DNA and RNA editing agents. 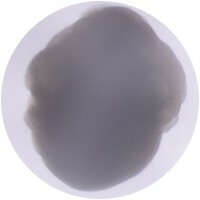 Embryonic stem (ES) cells originate from the inner cell mass of the blastocyst of female mammals. 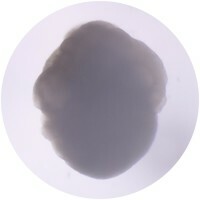 As one of the first cells formed in the body, they possess the power of pluripotency, a term that denotes the capability to give rise to virtually any other cell or tissue type in the body, be it a cardiomyocyte or a neuron. Hence ES cells offer a lot of promise for therapeutic purposes where they can potentially be used to generate a faulty or a defective organ if the right cues are given. This process is termed as lineage commitment. 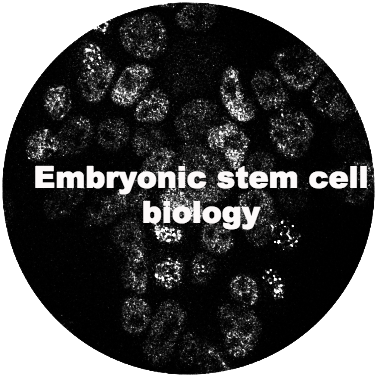 However, defining the lineage of an embryonic stem cell depends on the correct knowledge about the factors that control these processes so that these can be tweaked based on our needs. In our lab, we study some of these factors and try to better understand their roles during development. 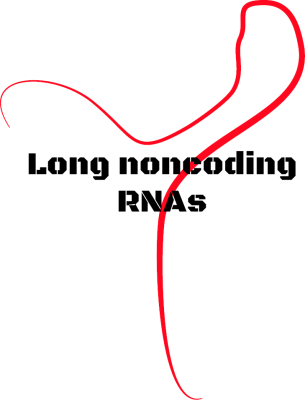 Long noncoding RNAs (lncRNAs) are a class of RNAs that do not produce a functional protein product. Although there are a large number of them inside the cell, they are lowly expressed and are generally poorly understood in terms of function. In recent years, owing to the development of better strategies to identify and study them, lncRNAs have been implicated in a variety of different cellular pathways including disease progression. 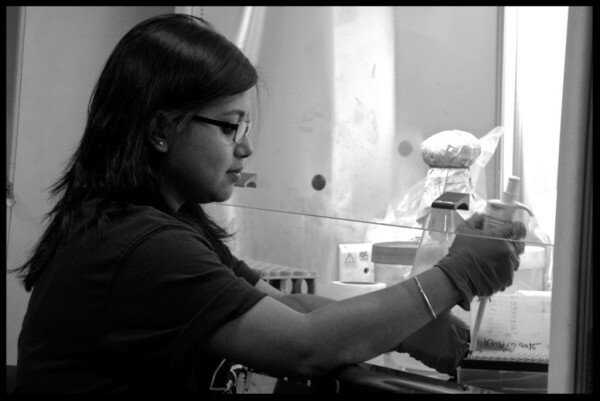 We are interested in studying functional lncRNAs that are implicated in certain types of cancer in the Indian population and develop strategies to utilize them as molecular biomarkers for early diagnosis and better prognostics. 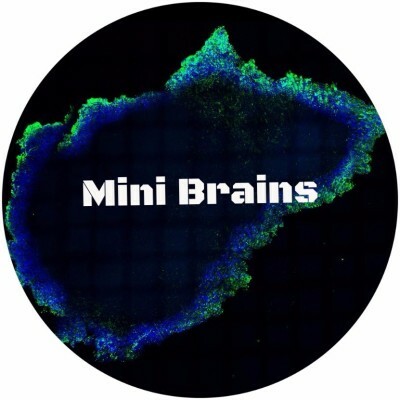 Our lab works with cerebral organoids, simply called 'mini brains' which are grown from pluripotent stem cells. 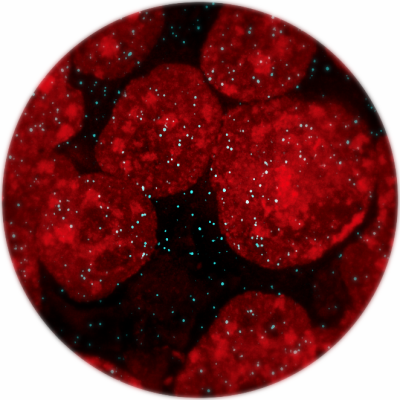 These tiny 'organs on a dish' recaptitulate the developmental plasticity of the actual mammalian brain and is a great model for studying development, discovering novel drug molecules and modelling diseases. 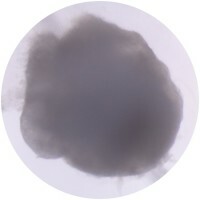 When grown from patient specific induced pluripotent stem cells (iPSCs), cerebral organoids have a lot of potential in personalized medicine and therapy. 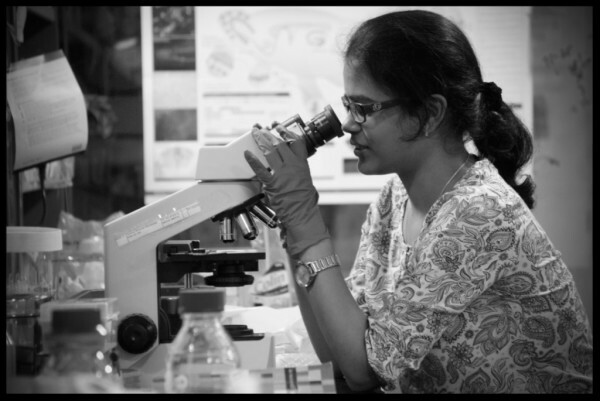 Along with the labs of Souvik Maiti and Beena Pillai , we are involved in testing small molecules in the growth and proliferation of mouse organoids and are using genome editing to make/correct neurodegenerative disease models. intergenic non coding RNAs) directly involved in cancer. When I am not in the lab I love to see myself in a ground playing Cricket or partying with Friends. In future, I am seeing myself as a good professor with a kind and humble nature.."
and biophysical techniques that help me move further in my research. had been my favourite pastime which I plan to revive soon.."
From the poor performance in secondary to gold medallist in Senior Secondary and Post-Graduation, Failures always drive me to achieve something enormous in the life. During my B.Sc. in Biology, I developed an interest in Computational Biology and Genomics. After finishing M.Sc. 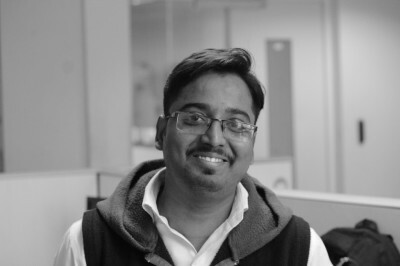 in Bioinformatics from the University of Kota, I joined a Delhi-based sequencing data analysis company. To get more exposure of the Genomics research, I started working in IGIB as a project fellow and later registered in the Ph.D. program. Since then, I have been involved in the various project related to different sequencing techniques data analysis. Currently, I am interested to build a sgRNA designing tool with higher activity and specificity. A decade back it was known that only 2% of the genome is functional but now it is evident that 80% of the genome is transcribed and play major roles in genomic output. These groups of RNAs (non-coding RNAs) are important regulators of multiple cellular processes like, development and differentiation. I am specifically interested in miRNAs which are fine tuners of gene expression. My PhD was on identifying mechanisms and functional consequences of miRNA editing in normal and diseased brain. 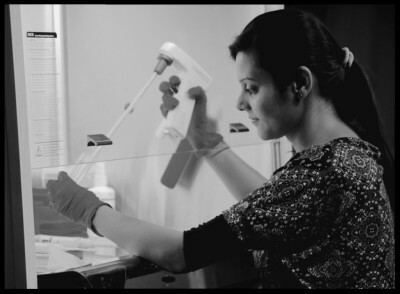 In Dr. Debojyoti’s lab, I am interested in looking at the molecular diversity contributed by non-coding RNAs in neuronal development and disease using brain organoids. When not in lab, I can be seen playing cricket, badminton or table tennis. of new memories and retrieval of stored memories of learned experiences. stress disorder (PTSD in human) like animal models. all my dreams and believe in making them come true.."
"..Since childhood, I have had a fascination for the night sky. I would wonder what lies into the oblivion of space, in between two or more stars. In one of my visits to my hometown in the foothills of Himalayas, I got the opportunity to view a starry night in the absence of light pollution. I observed what lied in the blank spaces were more and more of the stars. Originating from this incidence, my research interest lies in understanding the role of ​non-coding region of the genome, interspersed by the coding region, in regulating growth and development of an organism. After my B.Sc. in Life Sciences from Miranda House College, I did a summer internship in the lab of Dr. Amulya K. Panda at the National Institute of Immunology. It motivated me to pursue a more research oriented M.Sc. in Biotechnology from the South Asian University. During my Master’s thesis research, under the supervision of Dr. Nirotpal Mrinal, I tried to understand the modulation in expression of mir genes by the overexpression of chromatin remodelling proteins FOXA1 & YY1, in a correlation with cancer. 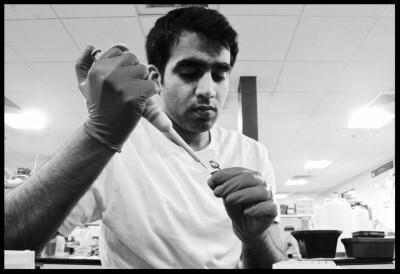 Now, at Dr. Debojyoti’s lab, I would work towards exploring the orthologous members of the CRISPR-Cas system to overcome the limitation of the classical CRISPR-SpyCas9 by taking sickle cell anemia as a disease model. 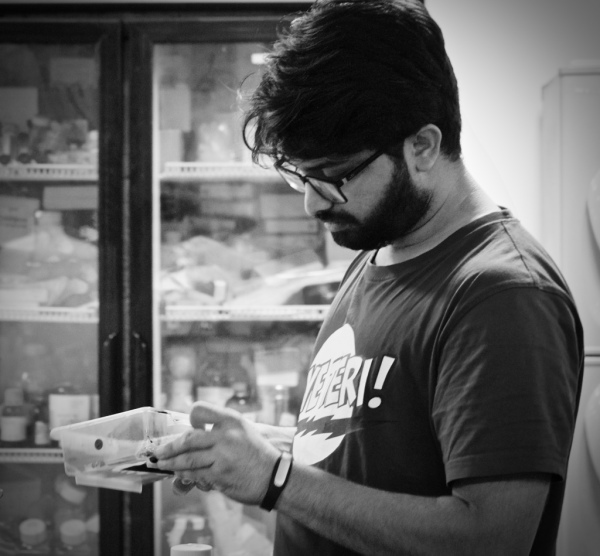 When not in lab, I could be seen eating, social networking, reading some novel or thinking of moonlighting as a stationary shop owner.."
"Ever since I was a child, I was interested in learning about how things actually exist in nature. As a science student, I found myself asking several questions on life, our existence and always turned to biology for an explanation. I was particularly interested in therapeutic molecules such as various drugs, antibiotics, etc. 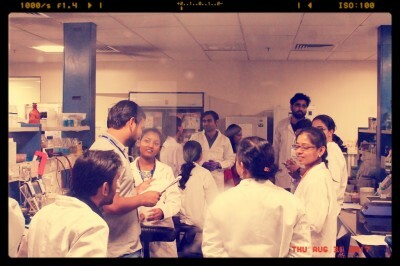 This interest of mine was a stepping stone in the path of becoming a biochemist. After schooling I did my B.Sc. (Hons.) Biochemistry at University of Delhi and then completed my Masters at Department of Biochemistry, University of Delhi, South Campus. I just got into one of the best labs to work in, with Dr. Debojyoti Chakraborty. 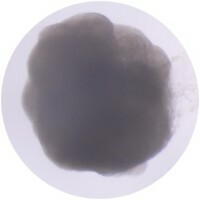 Here, I will be working on developing neural organoids associated to diseased condition and will try to correct these using cas9 system. Apart from academics, I play handball, basketball, cricket, badminton and have been selected twice for National level handball. If not in lab, you can catch me playing or chilling out with my lab mates and classmates in campus. " "I pursued my Bachelors and Masters in Botany from University of Delhi, North Campus and joined Debojyoti sir's lab in IGIB as a Ph.D student in July 2017. Attending an interesting lecture on genome engineering, galvanized my research interests in exploring CRISPR/Cas genome editing tool. Having switched my field of expertise to work on animal system, I have developed a new set of skills with the scientific guidance and support of my fellow labmates. 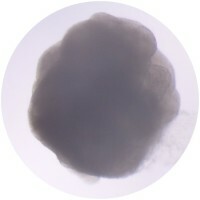 Here in lab, I am interested in using Brainbow, a multicolor genetic labeling technique to visualise neural networks in action and image branching patterns and connections in a cerebral organoid in real time. I plan to use this tool to investigate changes manifested in neural firing in a neurodegenerative disease model. I find the lab working environment efficient as well as enjoyable and the different research directions in which everyone in lab is involved allow us to look at a problem through multiple lenses." Man is the most dangerous animal in the zoo, they say. With this inquisitiveness in mind, I got a chance to study animal diversity during my Bachelors in Zoology from Sri Venkateswara College, Delhi University. This curiosity of mine, further made me study the molecular dynamics and genome comparisons of various life forms that exist on this planet during my Masters in Zoology from Department Of Zoology, University of Delhi. 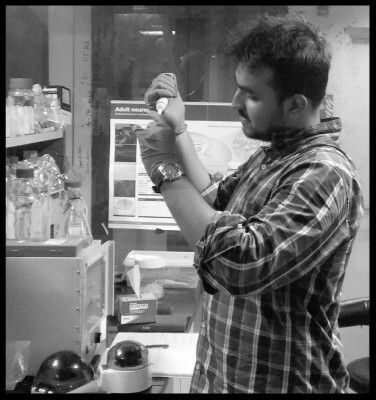 At present, I am a Ph.D. scholar in Dr. Debojyoti Chakraborty lab, where I am involved in understanding the role of various genome editing tools of CRISPR Cas system and incorporating their applications in translational health research. Apart from this, I love to see myself breaking the dance floor. Diversity of life forms always leaves me awestricken! My formal introduction to the animal realm happened during pursuing B.Sc. in Zoology from Chandernagore Govt. College, West Bengal. This three years of study instilled the craving of molecular understanding of animal diversity in my mind. I got to Banaras Hindu University (BHU) for pursuing M.Sc. in Zoology and did specialization in Molecular and Human Genetics. During M.Sc. dissertation in Prof. S.C. Lakhotia’s lab at BHU, I exposed to the field of noncoding RNA (ncRNA). Since then, I started looking the diversity of life through the lens of ncRNA mediated genome regulation. Post M.Sc. I had been in CSIR-IICB, Kolkata where I studied eukaryotic transcription regulation. 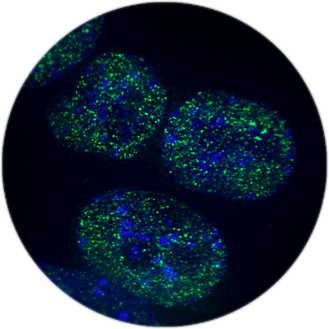 Here in lab, I am working on CRISPR/Cas9 genome editing tool and will also be exploring the role of chromatin architecture in long noncoding RNA mediated genome regulation. My curiosity about life’s inner dimensions always turn me to meditation and music. Nevertheless, I try not to miss hanging out with friends, hitting the gym and reading few pages of a book even on the busiest day! Finally... the place where I wanted myself. it's a place where I can explore the new era of science. Since childhood I am very curious about the things happening in the environment, e.g. how life started? Hence, my curiosity made me a science student. I have done graduation in Life Sciences from Shivaji College (DU) and PG Diploma in Molecular and Biochemical Technology from Sri Venkateswara College (DU). PG diploma helped me to hone my technical skills. Currently ,I am enjoying my work in IGIB. Besides lab, I enjoy cooking. 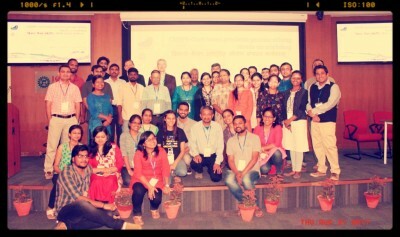 I am Namrata, a Project Assistant in CSIR-IGIB. I completed my B.Sc.(Hons.) Zoology and M.Sc. Zoology from University of Delhi. I am working in Dr. Debojyoti Chakroborty's lab. I am actively involved in Cas9 protein purification from different bacterial species. 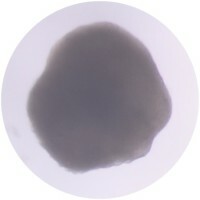 I am also learning other techniques like maintaining mammalian cell culture. I love the work environment here as everyone is very helpful and supportive. I have interest in singing, dancing and cooking and try to do all these activities whenever I get a chance. Currently I am focused to pursue PhD followed by a profession in teaching. 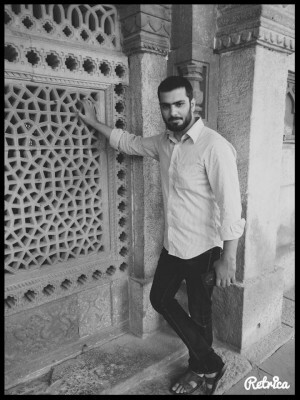 (PhD student at Souvik Maiti Lab)- currently PDF at Friedrich Miescher Institute (FMI) in Basel. 2. Novel internal regulators and candidate miRNAs within miR-379/miR-656 miRNA cluster can alter cellular phenotype of human glioblastoma. 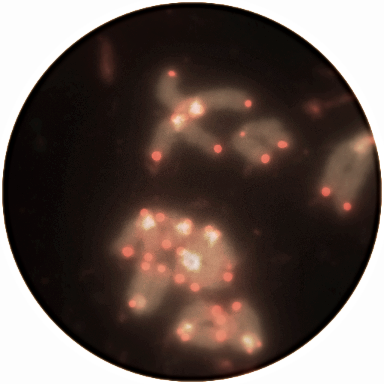 RNA Biology lab wishes everyone a Happy New Year! 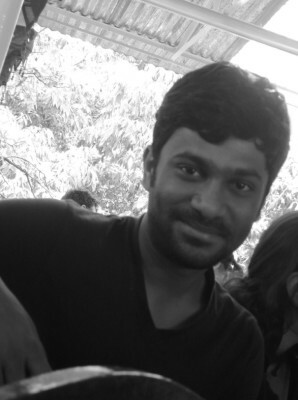 Sundaram Acharya cleared AcSIR interviews at IGIB and is now a permanent member of the lab. 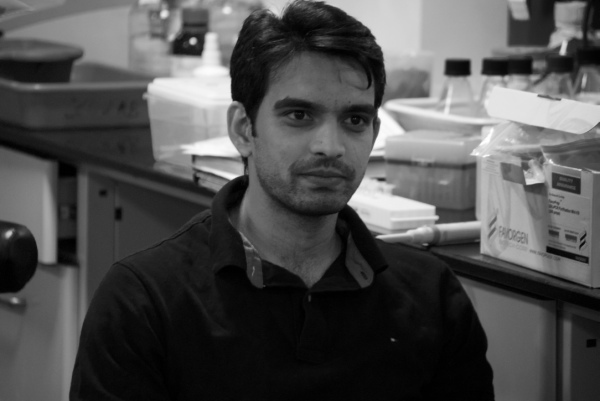 The lab welcomes Dr. Mayank Bansal as a new member. Saumya got first position for presentation of her Ph.D. work at Biozest 2018 at South Asian University. 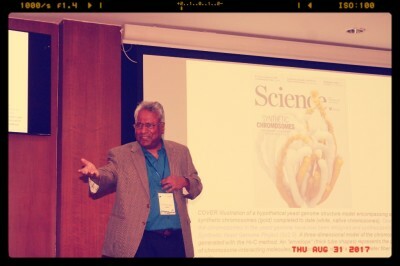 Dr. Debojyoti Chakraborty got entitled as a mellifluous gene editor by the editor of Nature India. Dr. Debojyoti shared his opinion about performing genome editing on embryos to 'The Indian Express'. 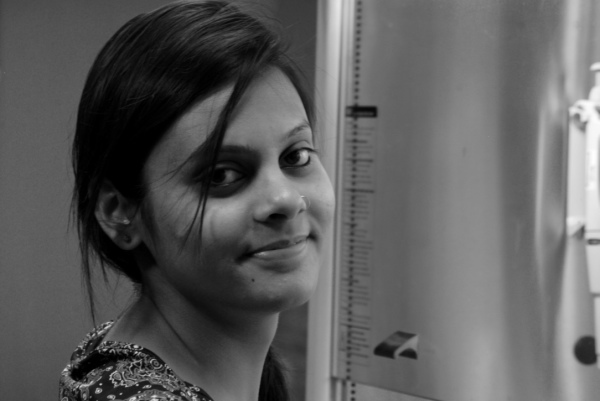 Dr. Pallavi Mehta from CMC Vellore joined the lab for training. Welcome, Dr. Pallavi! 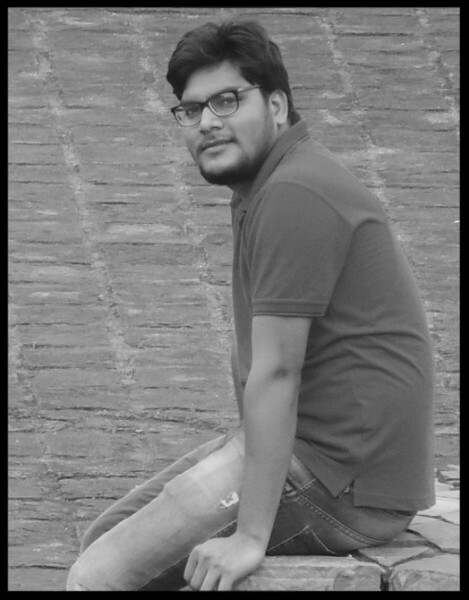 Manoj Kumar got selected at the Francis Crick Institute through Newton Bhabha Ph.D. placement programme 2018-19. Good luck Manoj, for your venture abroad. Lab's work got featured in Nature India. Rhythm joined the lab as a Ph.D. Student. Welcome to the group! Ghazal and Katherina have joined the lab as summer trainees. 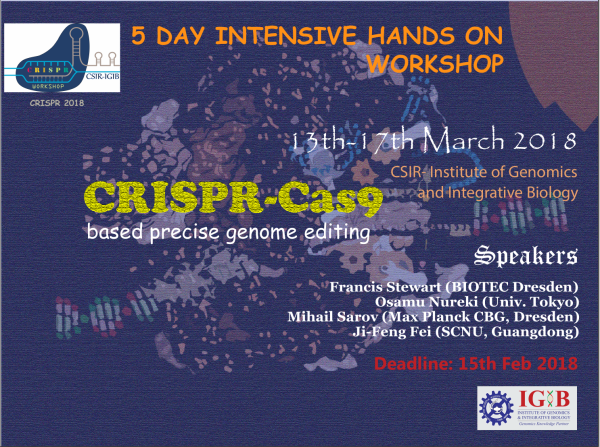 CRISPR Workshop was conducted successfully by CSIR-IGIB. 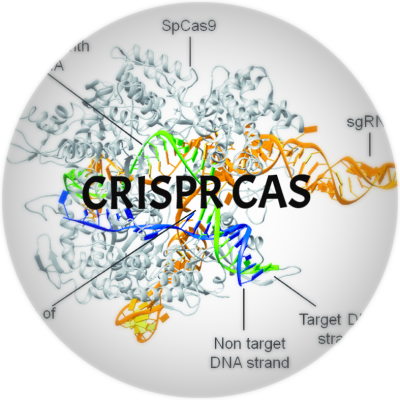 Good work #team CRISPR! Namrata, Sundaram and Lalit have joined the lab as Project Assistants. Welcome to the group! 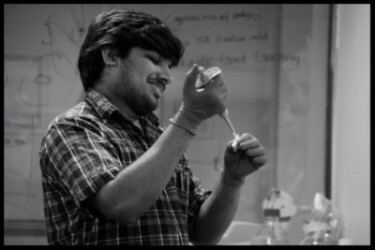 Arpit left the lab for his post doc at University of Washington USA. All the best on this new phase of life! Megali and Saumya cleared the PhD and AcSIR interviews at IGIB and are now permanent members of the lab. 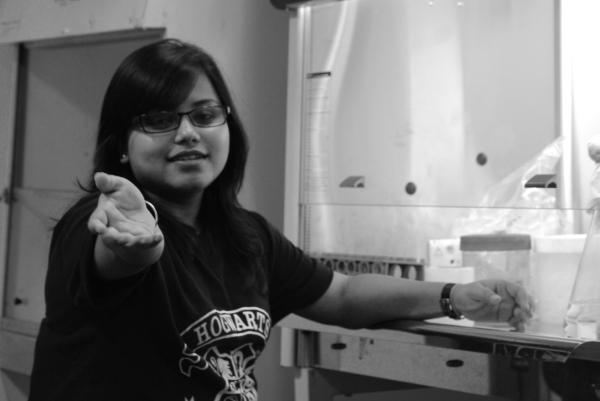 Riya has joined the lab through the summer selection. Welcome to a growing lab! 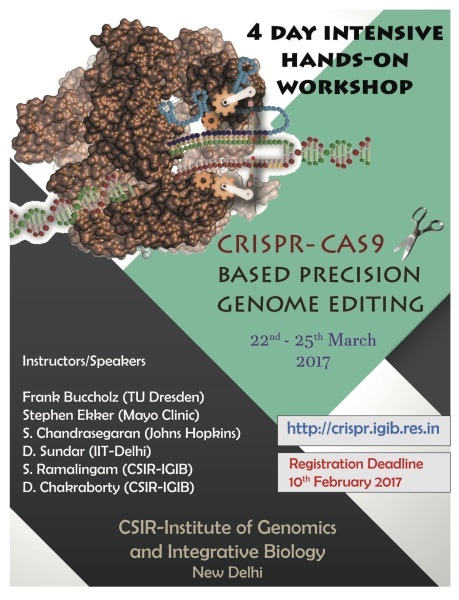 The first CRISPR Workshop was conducted in March 2017! 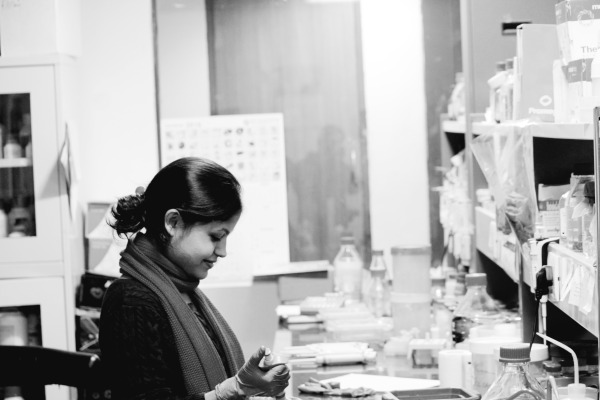 Meghali and Saumya have joined the lab as Project Assistants. Welcome Meghali and Saumya! 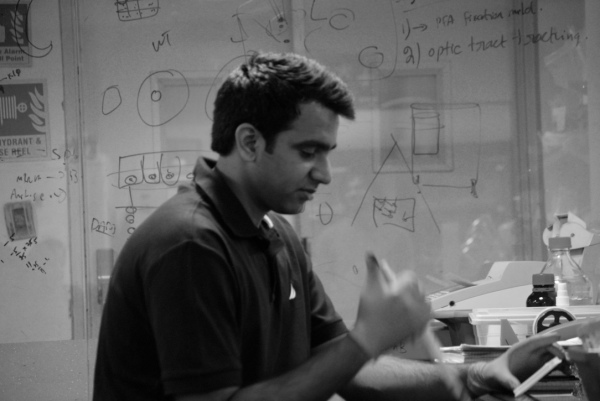 Shivaksh joined the PhD programme at IIT Delhi; all the best to him! 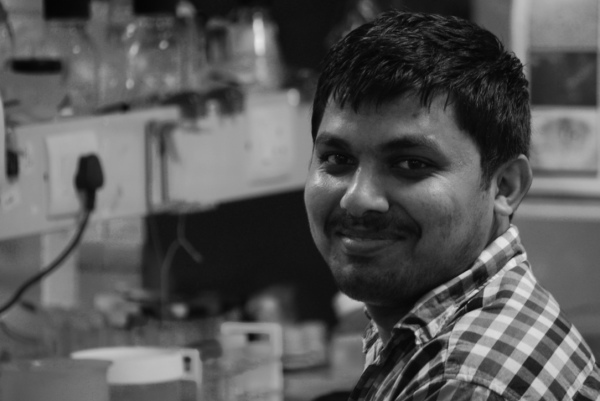 Manoj joined the lab as a PhD student after making it through the IGIB interviews. Wecome to the group! 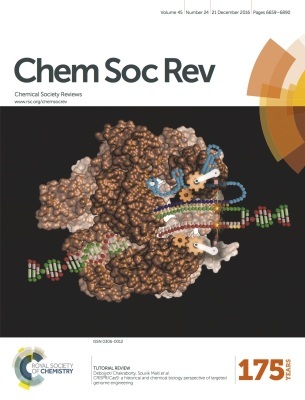 Amrita's CRISPR review has made it to the cover of Chemical Society Reviews! Congratulations to everyone who put their efforts into this. Dr. Debojyoti Chakraborty heads a RNA Biology group at CSIR-Institute of Genomics and Integrative Biology where he currently holds a Senior Scientist position. He finished his Masters in Molecular Biology from West Bengal University of Technology, Kolkata and completed his PhD from Max Planck Institute of Molecular Cell Biology & Genetics in Dresden under Frank Buchholz. 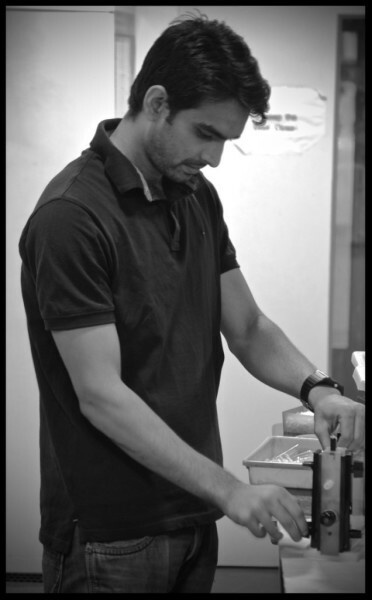 Following a post doctoral stint at the Medical Faculty in TU Dresden, he returned to India to setup his own lab at IGIB. 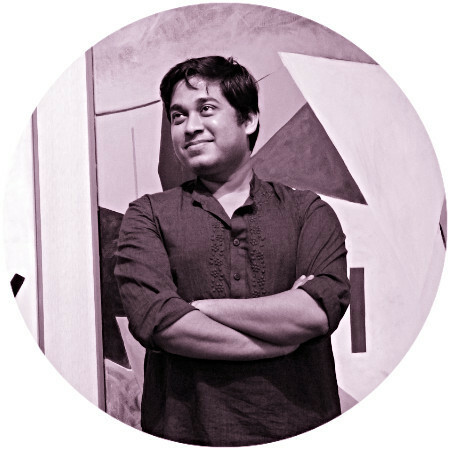 Dr. Chakraborty has been nominated for a Wellcome Trust Early Career Fellowship (2016) and a INSPIRE Faculty Award (2015).